We are glad to announce a fresh collaboration with the COMRADES project and welcome it to our network! 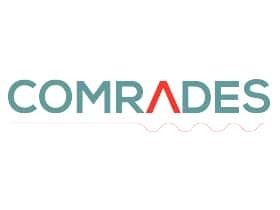 The COMRADES project will create a community resilience platform to help communities to reconnect, respond and recover from crisis events (e.g. floods, hurricanes, earthquakes, wildfires etc.). You can learn more about the COMRADES project by clicking here.